What Really Happens When You Don't Turn Off Your Cell Phone on a Plane? 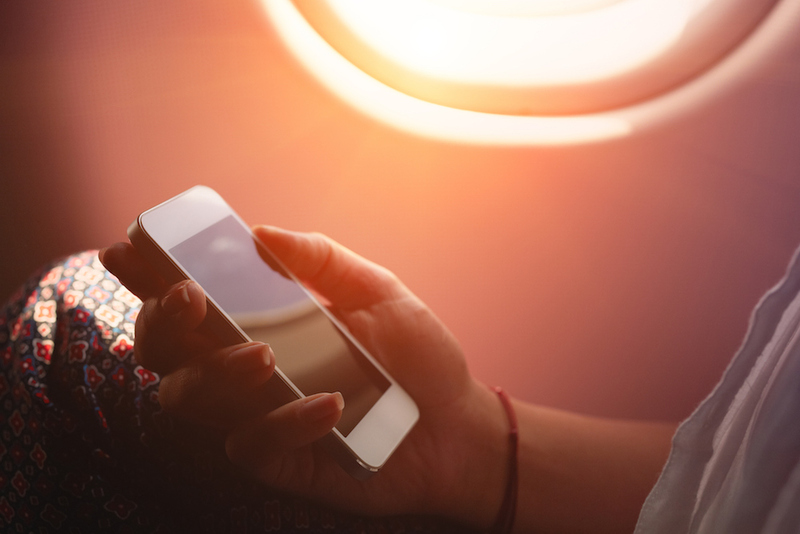 Cell phone use in flight—is it dangerous? Are the potential dangers fact or fiction? Cell phone use on planes has been heavily debated as the airline industry attempts to keep up with ever-changing technology. It’s standard practice to be told by flight attendants to switch devices to airplane mode during transit; but what happens if you don’t follow directions? Unfortunately, the answer isn't that clear. Let's start with some of the initial research. The reason for potential safety concerns is due to the fact that when you’re more than 10,000 feet in the air, your cell phone signal bounces off multiple towers and sends out a stronger signal. This is something that might congest the networks on the ground. But, there has never been a case of a cell phone causing a plane to crash. "It's not necessarily that a phone can bring down an airplane," former Boeing engineer Kenny Kirchoff has said. "That's not really the issue. The issue is interfering with the airplane and causing more work for the pilots during critical phases of flight. When they take off and when they land, those are phases of flight that require a high level of concentration by the pilots." But, with the advancement of modern technology these risks are becoming more obsolete. In fact, in 2014 the European Aviation Safety Agency (Europe's version of the FAA) said that electronic devices pose no safety risk, although it was up to the airline to prove their systems were not affected by the signals of cell phones. Many airlines have gone through this assessment and actually allow in-flight calls to be made through onboard cellular network companies like AeroMobile and On Air. Those companies serve major airlines like Emirates, Virgin, British Airways, and at least 27 others. On Air actually connects more than half the world’s A380 fleet. Although, a study done by the FAA in 2012 also concluded that "civil aviation authorities reported no confirmed occurrences of cell phones affecting flight safety on aircraft with on-board cellular telephone base stations." These miniature base stations are called picocells, and they give passengers the capability of cell phone use without affecting the instrumentation on board. “More modern electronics are shielded from interruptions,” Allison Markey, an aviation safety professional told us. “There is no magic gauge in the cockpit that shows that there is a phone with its cellular connection or Wi-Fi not turned off.” The FCC agrees about this technology, but still remains unclear as to when, how or if it will be allowed. The FCC's current rules prohibiting use of cellphones on planes were adopted more than 20 years ago to protect against radio interference to cellphone networks on the ground," it says on the FCC website. "Technology that can be installed directly on an airplane is now available to prevent such interference and has already been deployed successfully in many other countries around the world without incident. This is purely a technical decision; it will, if adopted, allow airline carriers free to develop any in-flight phone usage policy they may wish, consistent with applicable rules."